MORNING SKINCARE ROUTINE | in style of Emily. 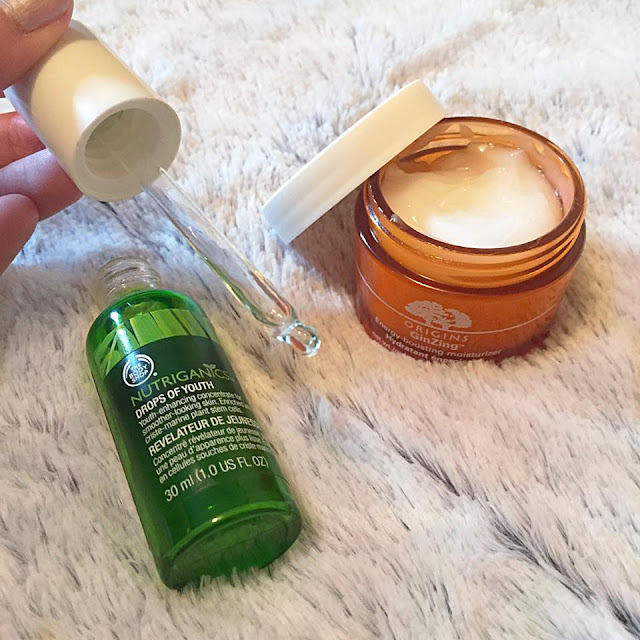 In my previous post I talked you through the products I use in my evening skincare routine but today I'm going to talk about what I use every morning. There are a couple more steps that I do in the morning just because I like to make sure my skin is looking it's best for the day ahead and it's prepped properly before applying makeup etc. 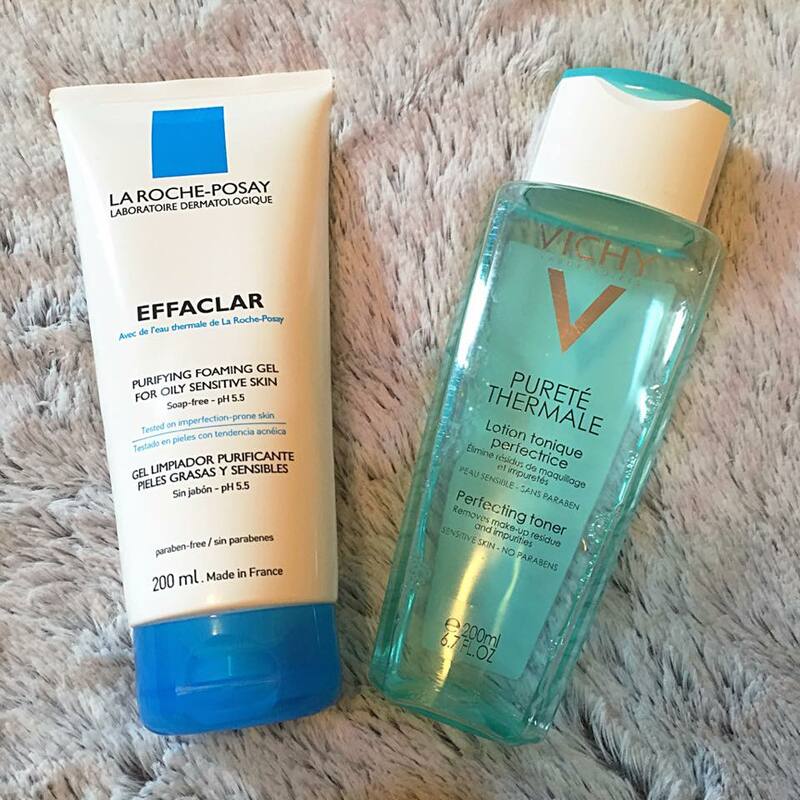 First thing I use when I wake up is the same cleanser that I use before bed as well, which is the La Roche-Posay Purifying Cleansing Gel. This helps to wake my skin up and gets rid of any residue left on my skin overnight from the products I use before I go to sleep. It leaves your skin feeling super soft and completely clean. After cleansing I like to use a toner, and whilst I don't think this a necessary step that everyone needs to do, it's always something that has been in my routine for a long time. I like to use the Vichy Pureté Thermale Perfecting Toner on a small cotton pad and wipe this all over the skin. It leaves a lovely refreshing and cooling feeling on the skin as well as removing any impurities. It also makes my skin feel tightened, plump and healthy. It helps to make sure that you've got rid of all traces of the cleanser too. After applying the toner I like to use a few drops of The Body Shop Drops of Youth Concentrate and pat this onto my face. (This has recently changed packaging which is why the link doesn't look the same as my bottle, but it is still the same product). This helps to smooth out my skin surface giving an overall even complexion. You can either mix this with your moisturiser or apply it separately which is what I like do. My favourite daytime moisturiser is the Origins GinZing Energy Boosting Moisturiser which has a lovely light texture and instantly brightens and awakens the skin. It smells amazing which is a bonus and sinks in really well. It contains natural ingredients and leaves your skin feeling hydrated throughout the day. The last step for my skin which I like to do before I apply makeup is to apply an SPF to my skin. This all depends on what makeup I'm going to use because some of my makeup products already contain a high level of SPF (e.g. my Laura Mercier Tinted Moisturiser contains SPF 20) which means I don't need to do this step. But for the day when I'm going to be outside a lot or my makeup doesn't contain any SPF, I like to apply the Vichy Ideal Soleil Mattifying Face Fluid Dry Touch. This contains SPF 30 and is designed for combination/oily/sensitive skin which is perfect for me. It doesn't leave the skin feeling sticky like most sunscreens do and sinks in to a matte finish which sits well underneath makeup. I thought I'd add lip balm into this as the last step because this is also something I apply every single morning. Mostly I use the Carmex Lip Pot because I find that this is one of the only lip balms that actually works for me. Instead of sitting on the surface of the lips like a sheen, it actually sinks in and makes the lips look noticeable smoother and more hydrated. This is a key step for me especially when I want to apply lipstick later on. I hope you enjoyed seeing what I use daily in more detail and let me know if there are any more questions you have down in the comments below! I love the Body Shops products especially their Vitamin C and E range which I usually use as my everyday skin care routine. I came across vinchy in Boots a couple of weeks ago , and I'm hearing very good things about the brand so I will give it s try! I love The Body Shop too! I've tried out a few of their ranges and love the Seaweed range and Aloe Vera range too. 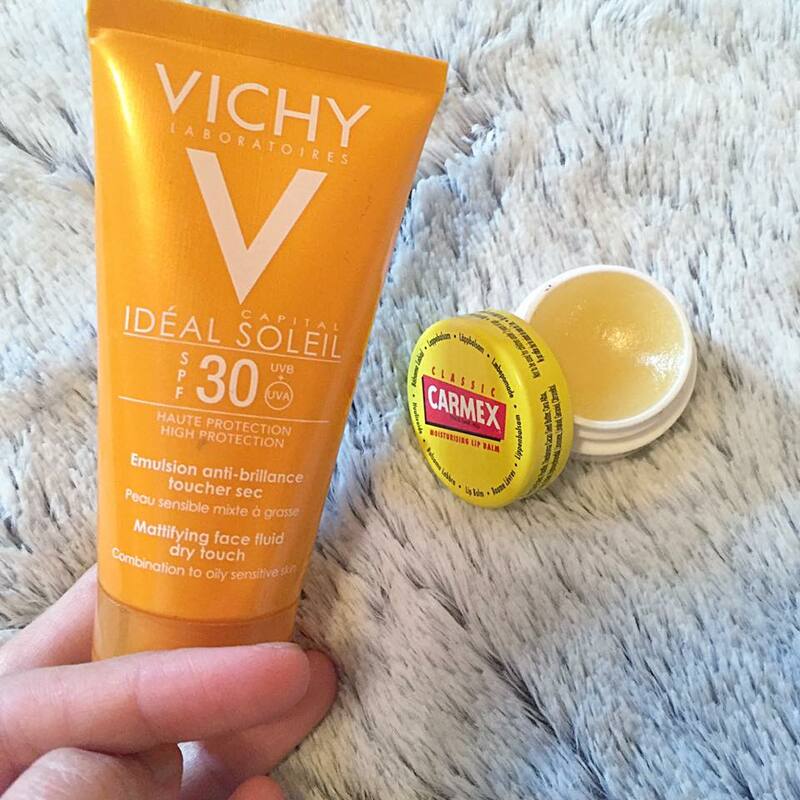 Yes you should definitely try out Vichy, the products are really gentle on the skin!